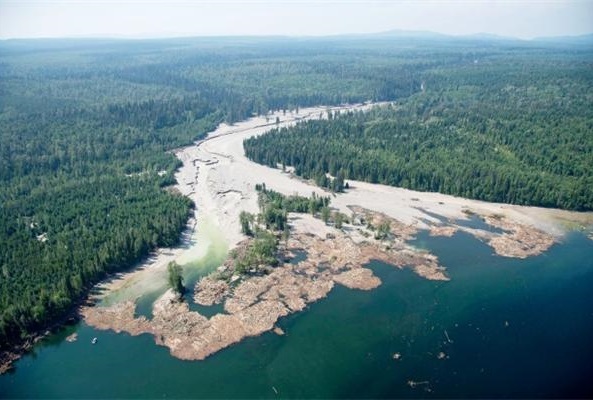 Now that the tailings spill earlier this month at the Mount Polley mine is rightly the subject of an investigation by a third-party panel of experts, British Columbians can expect to get some much-needed answers to why the mine’s tailings dam failed. The sooner we have those answers, the better. But make no mistake; mining — done properly — will continue to be a crucial aspect of our society and our economy. While a tailings dam failure such as we just witnessed is absolutely unacceptable, responsible mining must continue. I have often said an educational campaign is required to re-connect British Columbians to their natural resource sector and to explain how so many of the products we depend on every day are derived from this sector. It’s for this reason I agreed to chair the advisory council of the non-profit Resource Works Society, an organization dedicated to educating British Columbians about the resource sector and its important role in B.C.’s future. It is easy to become disconnected from the importance of our natural resources. Most of us have busy lives surrounded by urban environments that appear far removed from the forestry, mining and energy extraction on which our civilization and much of our economy is based. Until a front-page calamity like the Mount Polley incident occurs, the natural resource sector appears invisible to many of us living in B.C. urban areas and so many of us tend to disregard or minimize its importance, or just forget it exists. What many of us don’t realize is that without a properly managed natural resource sector operating responsibly in regions across this province, the standard of living we enjoy would be seriously curtailed. If this sector were to disappear, much of the provincial economy, including the economies of many of B.C.’s cities and towns, would come to a grinding halt. And almost all of our modern comforts, from the wires that bring electricity into our homes to the pipes that transport our drinking water, from the chairs we sit on to the clothes we wear, from the smartphones we depend on to the cars we drive — all these products flow, in whole or in part, from a bounty of natural resources, many of which we produce in B.C. Many of our electronic devices, for example, contain metals mined from mineral ores as well as plastic components derived from petroleum and natural gas-based processing. The average vehicle contains 50 pounds of copper — 40 pounds for electrical and 10 pounds for non-electrical components. Since the inception of Resource Works, our research arm has pointed out that, as we move toward the adoption of greener technologies, our natural resource sector will remain key. Toyota Prius hybrid electric vehicles contain more copper than a regular car at 64 pounds and use batteries that are made of nickel hydride and also contain cobalt. Some 90 per cent of wind turbines are tubular towers made from steel. And solar panels contain approximately 20 grams of silver, per panel, as well as the silica required to make the silicon used in the majority of today’s photovoltaic systems. Both silver and silica are products of mining. Canada is one of the largest producers of many of these minerals and metals as well as the oil and natural gas used in the manufacturing of plastics and transportation fuels. In 2012, Canada’s mining industry alone accounted for some 20.4 per cent of the value of Canadian goods exported. As Canadians, we sell a hugely diverse range of minerals abroad. Export sales of aluminum, copper, gold, iron and steel, iron ore, nickel, silver, uranium, zinc, diamonds, potash and coal range from $1.5 billion to $17 billion each. Canada is also one of the largest forest product producers in the world. Forest products are a $58 billion a year industry across the country. The forest sector in B.C. alone employs 170,000 people directly and indirectly. While most British Columbians have long been familiar with our softwood lumber and pulp and paper sectors, cellulose fibre is also integrated into a range of textiles not often associated with forest products. The use of cellulose fibre in viscose rayon, for example, makes the material strong, absorbent, and flexible. Cellulose fibre is found in many textile materials like upholstery, curtains, blankets and clothing. According to the federal government, Canadian natural resources account for 13 per cent of our gross domestic product and 50 per cent of our exports. And if you include the industries that provide goods and services to the sector, natural resources account for almost 20 per cent of the country’s GDP. The energy, mining and forestry sectors provide more than $30 billion a year in revenue to all levels of governments — funds that support our world-class education, health and social programs. And 10 per cent of all jobs are created in the natural resources sector. Roughly 950,000 Canadians work in the sector and another 850,000 work in industries that provide services to the sector. Many of those jobs are located in cities. So while I support the current investigative panel into Mount Polley and am eager to read its findings with a view to improving practices, I urge British Columbians to remember this: the minerals, metals and energy that make our modern products work are also key to making our province and our country thrive. Dr. ‘Lyn Anglin is Chair of the Resource Works Advisory Council, as well as a Board Member of Science World, Director at the Mineral Deposits Research Centre at UBC and numerous other mining and academic associations in B.C. She is the former President and CEO of Geoscience BC.